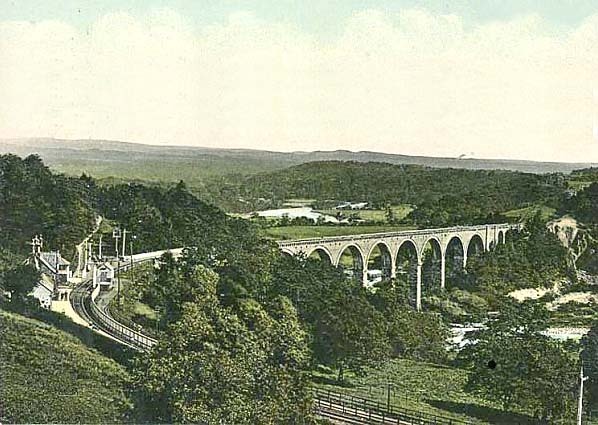 Present state: The platform and buildings are extant, as is Sir George Barclay Bruce’s remarkable Lambley Viaduct immediately NNE of the station. The station still retains one of its wooden signs. Date of visit: September 1962 and intermittent until April 1976, August 2000 & March 2010. Notes: Situated 4 miles 67ch from Haltwhistle, Lambley station was in a magnificent setting with a fine view of the viaduct. The station took its name from Lambley Farm a mile north of the station, rather than the nearby village of Harper Town. Passengers reached the station by a 500yd rough track. The house, located where the original low platform met the later platform’s northern ramp, was Tudoresque with a prominent central gable. The toilet and waiting facilities were added in the 1890s in a single-storey wooden southward extension. A two-storey domestic block stood at the other side. The Brampton Railway branched off immediately north of the station, leading to Lambley Colliery. Because of the cramped site there was no passing loop at the 100yd platform, but goods trains could shunt back onto the colliery line. 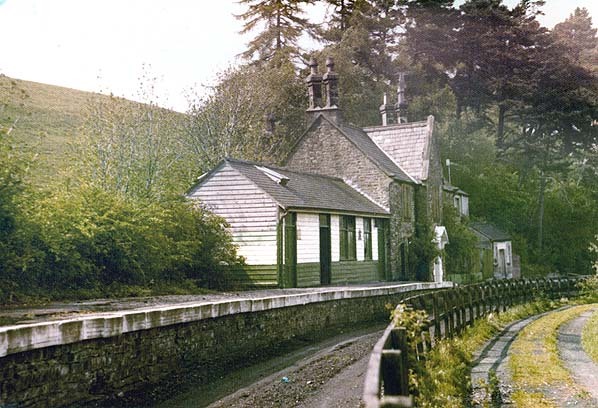 The station was staffed until 1966. After closure the house remained in residential use. The South Tynedale Way footpath passed in front of Lambley station along the trackbed until c.2004 when the owner of the station had the footpath diverted. A high fence has been built at the south end of Lambley viaduct to deter walkers from accessing the station. The old public right of way is still shown on all but the most recent Ordnance Survey maps. Royal Assent on 26 August 1846. National economic problems delayed construction. When building began, the five-mile section beyond Alston was not proceeded with. The junction at Haltwhistle was adjusted to face Carlisle (the county town of Cumberland, in which Alston was situated) rather than Newcastle. An addition to the original plans was a branch from Lambley to meet the Brampton Railway at Halton Lea Gate. The revised plans received the Royal Assent on 13 July 1849.
transport, yet trains continued between Haltwhistle and Alston, providing a ‘life-line’ for remote communities. Beeching (March 1963) noted that closure of the branch was already under consideration, but that summer Ernest Marples, Minister of Transport, announced that the service would continue; the sole criterion was hardship that closure would cause. Further economies were made. Alston’s trainshed was dismantled. Lambley, and Alston became unstaffed in 1966 and 1969 respectively. 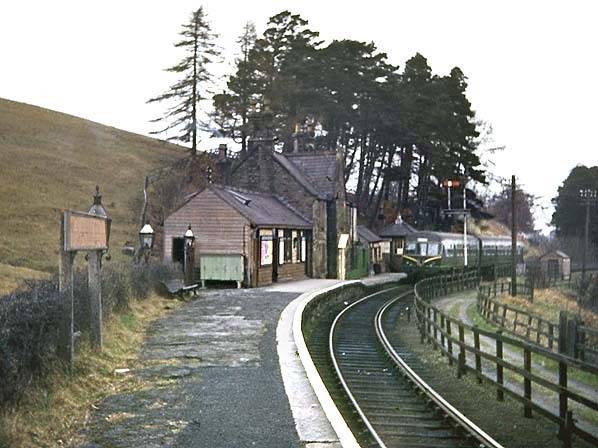 Goods services ceased in 1965, and in 1966 the ‘one engine in steam’ system began, allowing Coanwood, Lambley, and Alston signal boxes to close. Crossing gates at Featherstone Park and Coanwood were removed, trains giving way to road traffic. Most signals were dismantled, although some fixed distant semaphores were retained, set at caution; one was south of Featherstone Park. At Alston, for some time, a run-round facility remained. line was extended 1½ miles to Gilderdale Halt in 1986; a Light Railway Order was obtained in October 1987 for this section. 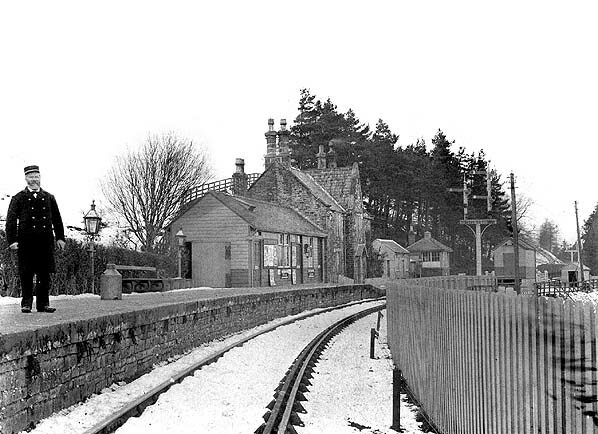 A further ¼ mile to Kirkhaugh Halt opened in 1999. 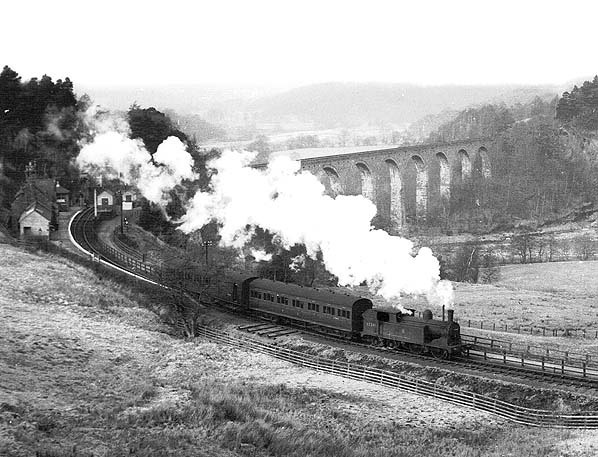 The South Tynedale Railway intends to reach Slaggyford, having obtained planning permission for this project in 1986, and ultimately Haltwhistle. Reinstatement of the branch has been aided by the English Tourist Board, the local authorities, and the Manpower Services Commission. Today the South Tyne Way footpath and cycleway follows the course of the Alston branch for much of its length. In November 2009 a grant of £100,000 was awarded by Groundwork UK Community Spaces programme which will be used to fund the restoration of three historic bridges on the Alston line. Northumberland County Council’s west area committee also granted consent for a completely new station at Lintley which is scheduled to open in 2011. 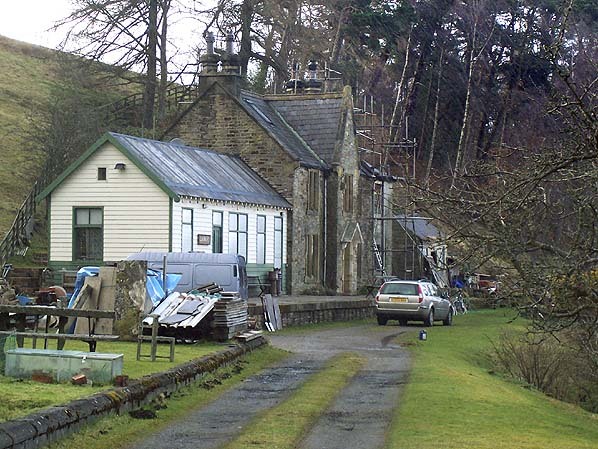 STRPS now have a lease for the trackbed from Kirkhaugh to Slaggyford, including the station building at Slaggyford where some remedial work has started to ensure no further deterioration of the listed station building. A further extension of the line from Lintley to Slaggyford is planned to open in 2015. 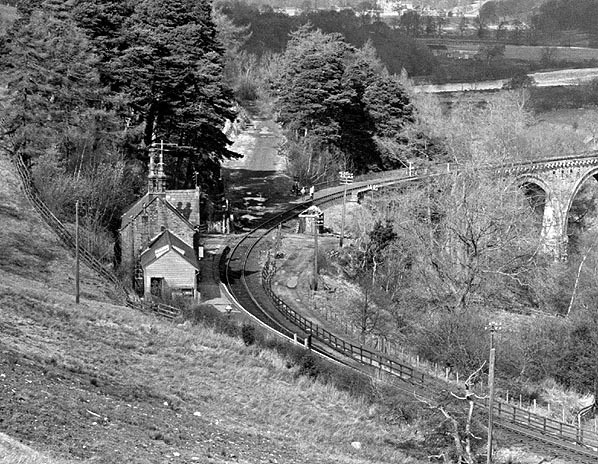 Lambley station in March 1967, the lifted Brampton branch is clearly seen. 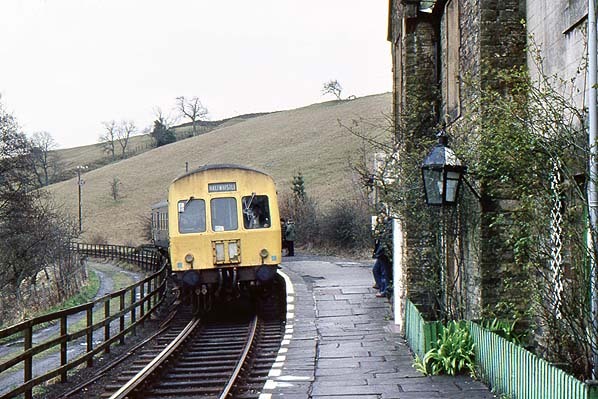 A Haltwhistle DMU stands at Lambley station in April 1976 a few weeks before closure. 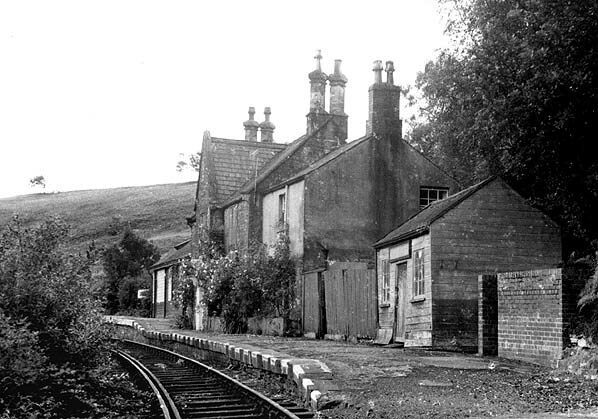 Lambley station looking north in June 1977, shortly after track lifting. Lambley station looking north in March 2003.